A well-regarded and highly-competitive sports program. 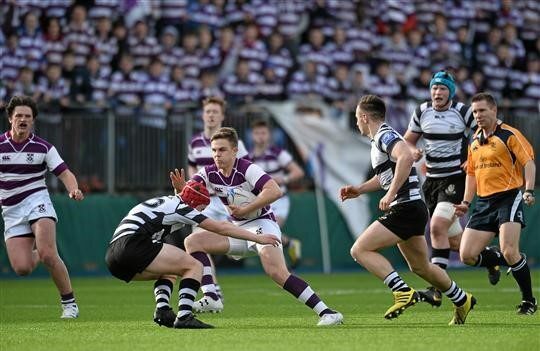 Cistercian College is unique among secondary schools in that its teams compete at a high level in both Hurling and Rugby. The extra-curricular activities on offer at Cistercian College are very extensive. We have a responsibility to keep students busy in their downtime, and this means that students have numerous opportunities to get involved in new hobbies, thereby developing non-academic skills that are valuable for the real world. What’s more, they take part in these activities without interfering with their classes or study. Each year Cistercian College fields ten rugby teams including four in Senior House (TY, 5th & 6th years). The Senior Cup Team has been rated among the top teams in the country in recent years. We also run a senior seconds (SIIXV) and senior third (SIIIXV) team every year, as well as a Transition Year rugby competition. The Junior House programme runs six teams, focusing mainly on developing the core skills essential for a successful transition to SCT Rugby. Each year there are two Junior teams along with two 2nd year and two 1st year teams. All teams have dedicated coaches and play a minimum of 20 matches per season. Students who play Rugby have a minimum of three coaching sessions per week and one match per week. They also have at least one strength and conditioning session per week. Cistercian College students also have access to the Elite player sessions and get the benefit of the latest video analysis equipment. There is an annual Rugby tour. Our players have the support of the on-site college medical and nursing staff and have access to top physiotherapists, sports psychologists and guest coaches. 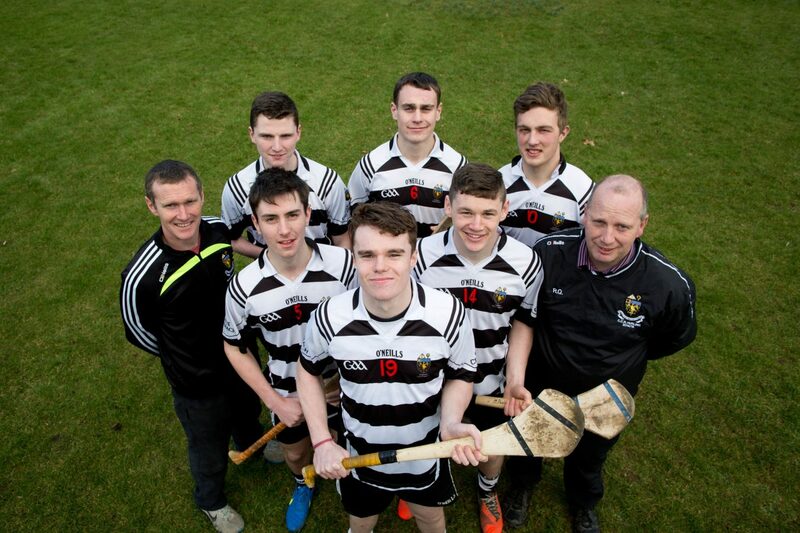 Hurling in Cistercian College Roscrea is given equal importance. Our last All-Ireland winning team was 2015. We have competed in several recent Leinster Finals. We pride ourselves on offering Hurling coaching all year round, unlike many schools that base training only on competition. We run 7 teams in the College from 1st year to senior. It is the ambition of the College to get back into the top tier of Leinster Hurling and capture a first All-Ireland ‘A’ Colleges title. The Hurling timetable in CCR consists of 4 sessions a week. We run 3 Hurling skills sessions a week, including one match, and one supervised conditioning session. The college has access to top of the range video analysis to develop the team and individual. We also run Hurling alley tournaments and indoor Hurling sessions. This is all achieved with the minimum effect on the academic timetable. Many of our pupils are selected to represent their county, province and County at minor and under 18 level in Hurling and/or Rugby. CCR pride themselves on hurling from Spetember to May and this year was no different. Again this year we fielded 6 hurling teams, Namely First year, U-14, U-15, U-16 ½, U-17 and Senior. The highlight of the year was getting some silverwear in the U-17 Tipperary Schools and Barry Nash, but there were also other positives to be taken from the year. The first years took part in the Leinster 1st year competition. The year started with friendly against Banagher and Killina. Our first competitive game was a trip to Bagnelstown. CCR won in a tight game. We qualifyed in a group which also included Killina. CCR advanced to the final where they met a strong Wexford CBS. Although losing narrowly, the boys were in it right to the end and can take great heart for their performances. The U-14 squad were outstanding this year with 32 boys training consistently all year. The mix of 1st and 2nd years gelled very well. We played Challenge games against Thurles CBS, Ard Scoil, Camross, Clifden and Kinnity. In the grouop stages we defeated a strong Killina side before an incredibly dramatic late win against Portlaoise. The final group game against Rathdowney ended in a narrow defeat. The semi final against Rochfortbridge was an incredible contest. CCR lost out by a point after exttra time on a scoreline of 3-19 to 7-6. Blaine Barry and his team were outstanding in the attitude and commitment all season and a very positive future lies ahead for this group. The U-15 squad was made up mainly from members of the U-14 squad. We played in the Tipperary schools competition against St Josephs Borrisoleigh. We were second best on this occasion and look forward to another run in this competition next year. The junior competition is the earliest in the school calander. Our boys played a friendly against Col Phobal before starting to navigate a tough group including Clonaslee, Rathdowney and Portlaoise. Although CCR didn’t emerge from the group, they were very competitive in all 3 games. The group were led very well by Player of the Year Cian o Dwyer and Mr Quigley would have high hopes for them going forward. The U-17 competition was all about the final. CCR v Nenagh CBS in May on hard ground was played as hurling should be. Both team were strong and aggressive, with loads of skill on show. CCR won the competition by 4-12 to 1-16. John McKeon receiving player of the Year. The Senior side were very young this year with only 5 of the side overage next season. Friendlies against Col Phobal and eventual All-Ireland Champions Scariff set the groundwork. A first round win over Heywood put us in a promising position. Mountrath got the better of us in Round 2, a game CCR could have won. This was to prove costly as Johnstown ran out group winners. CCR redeemed themselves by winning back the Barry Nash Memorial with wins over Kilcormack and Colaiste Phobal. Thanks to Mr Quigley, Mr Franks, Mr Carey and Mr Mckeogh for their coaching over the season. Although we had only the one trophy to show for the season, the quantity of hurlers and training sessions has been very high and this will hopefully be but one more step forward in seeing CCR work its way back to the top table of hurling. 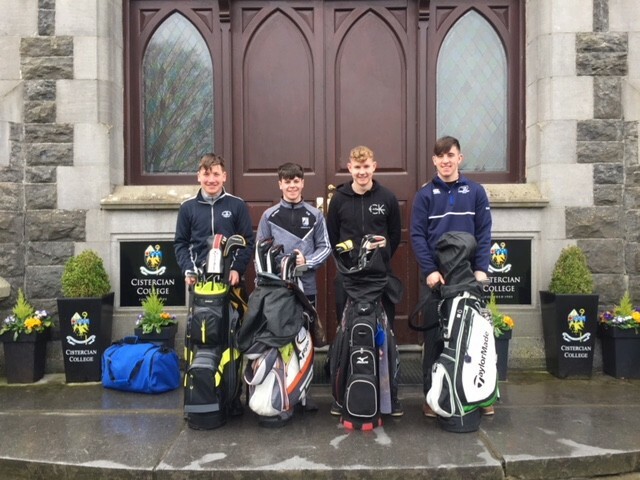 Cistercian College run cater for both competitive and beginner golfers. The College enter teams in the Junior and Senior competitions in both match play and stroke play. We also have access to a golf instructor. This enables beginner golfers to participate in a programme of 8 one hour lessons to develop putting, short game and driving. Cistercian College has a proud tradition of Athletics, ranked 3rd in the most successful athletics schools in the country. We encourage both beginner and team athletics. Athletics is compulsory for our 1st years. They are guaranteed one hour with the track coach and the field coach every week. This develops their interest in Athletics and helps them to choose events that match their physical abilities. Out CCR Team Athletics programme grants one hour with a specialist Track or Field coach to allow continuous development over the season. We compete in the indoor and outdoor competitions in South Leinster and Leinster Championships. We also enter in the Tipperary schools competitions. We are developing our Cross Country programme and this is going from strength to strength each year. 2018 was a very positive year for Athletics in CCR. We are the 3rd most successful school in Irish Athletics history and this is something we can be very proud of. It is an honour that will need a lot work to maintain. The coaching staff started in early September building a team for the South Leinsters in April. The addidtion of Gary and Carol Halpin was a huge boost and added to the siginficant expertise of Martin O Grady and Liam Tierney. Every Thursday night for 2 hours the coaches put the boys through their paces, trying to introduce the new athletes to a sport that matches their ability and improving the technique of the more experienced athletes. The Athletics team also enjoyed visits to Templemore and Nenagh over the season and we would like to thank both for the use of their facilities. The first event on the cards was the Indoor Multi-events in the National Indoor Arena Blacnhardstown. While there were no medals coming home, there were very promising performances and signs of a good year ahead in individual competitions. The Cross Country championship were next up. Star of the show was Lorcan Mullen who earned a podium finish to qualify for the Leinsters. Perhaps as promising were the strong team showing as both the Minor and Junior teams earned top 5 finishes. There were promising performances from Conor Frawley, qualfying for Leinster finals and Paddy Corr. Lorcan again performed outstanding in the Leinster finals achieving a top 10 finish. 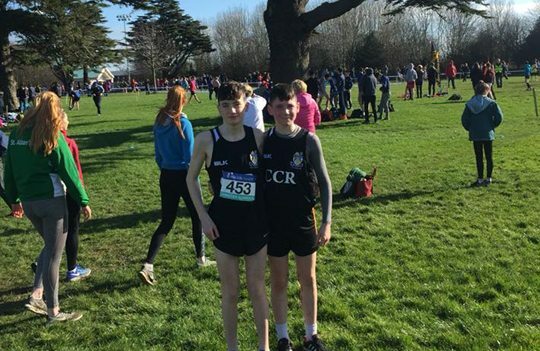 The final outing of the cross country year were the All-Irelands and Lorcan produced the goods again to finish 16th. An incredible achievement considering the thousands of boys who would have entered regionals around the country. The South Leinster Track and Field took place in Waterford in April. Day 1 involved 16 Minor and Junior athletes battle it out with the best of South Leinster. Highhlights of the day were Golds for our Minors 4x100M relay team, Golds for Richie Whelan (High Jump), Jon Flynn (Hammer), Silver for Lorcan Mullen (1500) Max Flynn (Hammer) and Rob Roe (High Jump) and Bronze for Rocco Morlaes (75M Hurldes). There were also 4th place finishes for Paddy Corr (200M) Richie Whelan (500M) Conor Frawley (800M) Max Flynn (Shot Putt) Rob Roe (Long Jump) and Jack Verling (800M). The most significant sign of the CCR dominance in the minor events was the award of All Round Minor Team 1st place and All Round Junior team of 3rd Place. An excellent day out. Day 2 with the Seniors and Intermdiates was equally as positive as 16 athletes competed. Our Senior Relay team captured Gold as did Dylan Keane (Shot Putt) Lucas Culiton and Sean Frawley earned silver in their hammer events, Jack Egan won Bronze in Discus. Other significant results were 4th place for Billy Foley (Triple Jump), Jack Egan (Shot) Lucas Culliton (Long Jump) and a great run from Adam Dunne to finish 5th in the Senior 100M. Our Senior team won 2nd place in the All-Round Team event. We had 8 Leinster Finalists competing in Santry in May. Lorcan Mullen was again star of the show with a silver in the Junior 1500M. Richie Whelan put in an outstanding performance to also win Silver in the Minor High Jump. Lucas Culliton threw a PB to finish 3rd in the Senior Hammer. Our Senior Boys relay team finsihed 3rd in the Leinster 4x100m. They missed out on qualification for the All-Irelands by the smallest of margins. Jonathan Flynn finished an agonising 4th in the Junior Hammer. Max Flynn (Brother to Jon) finished 6th in the same competition a year out of age. Both boys follow in the footsteps of their father Julien who was an All-Ireland Champion for CCR. Robert Roe was just outside the medals in 4th place for the boys Minor High Jump. Sean Frawley also finsihed 4th in the Intermediate boys hammer, with another year at this age group. The minor boys relay team missed the presence of James Conroy to finsih 5th in the minor boys relay. Still an excellent achievement. Lorcan, Richie and Lucas now compete in the All Irelands in June. A fitting end to a resurgent season of Athletics. The Equestrian programme is a collaboration between the pupils, parents and the College. 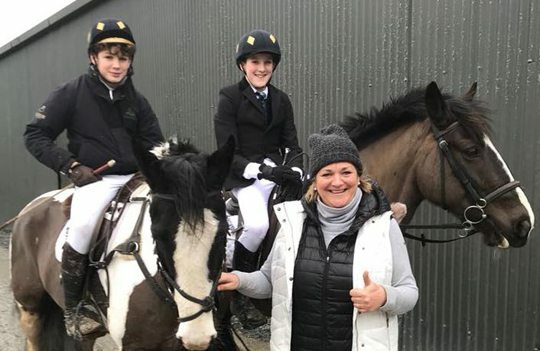 We are invited to compete in Equestrian Ireland Interschools competitions at various times of the school year. A parent assumes the role of Chef d’Equipe and facilitates the competition involvement. It is not essential to have a pony but experience would be important. The Cistercian College have recently added soccer to their sporting programme. The U-17 team enter in the Leinster league. The soccer team train twice a week and also play club sides at the weekend.